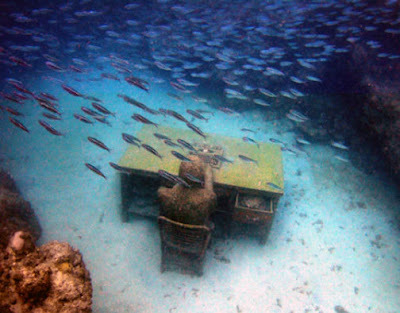 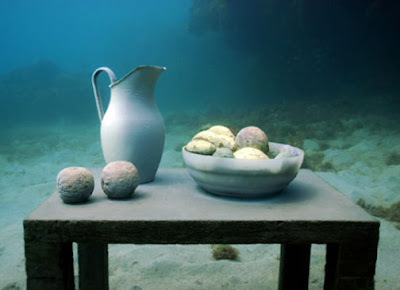 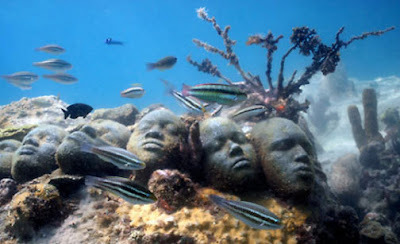 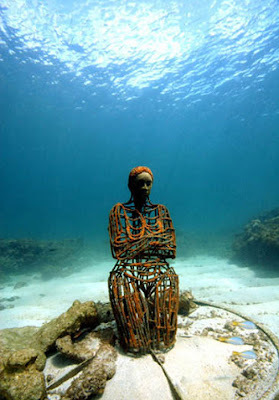 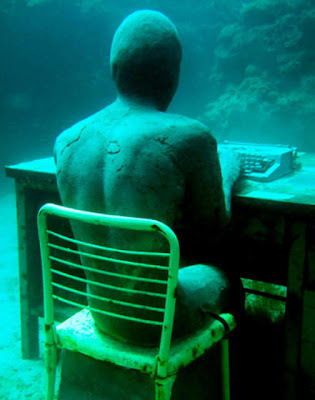 Check out this stunning underwater sculpture park created by artist Jason Taylor in Grenada. 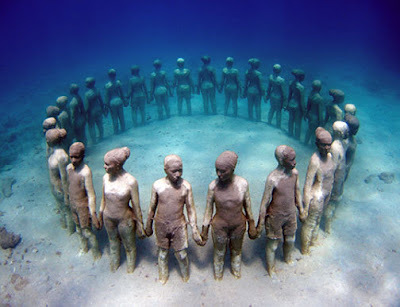 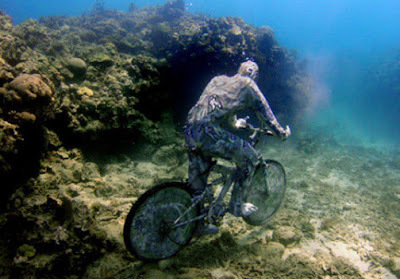 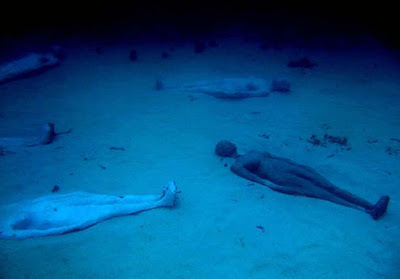 The sculptures are 2-8 meters underwater, which makes them ideally suited for scuba divers and snorkelers. 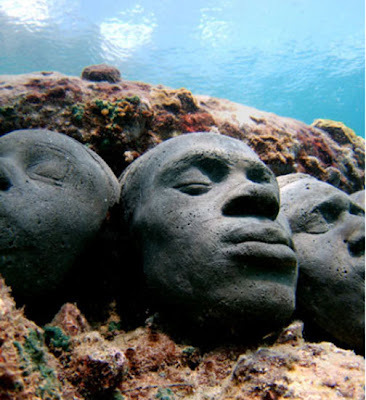 Each piece is a permanent ocean floor fixture, which means they will act as an artificial reef for corals, algae, and sponges. 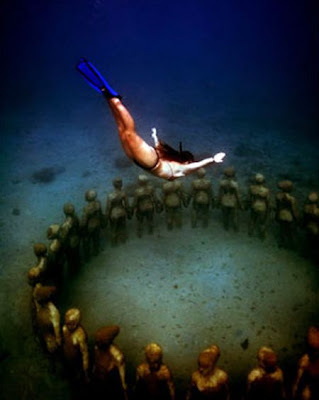 In turn, this makes the area an ideal home and breeding area for fish, turtles, and other sea creatures.